OMEGA’s LC202 Series Load Cell offers the designer a compact series with ranges from 50 lb to 10,000 lb and accuracy of 0.25%. The all stainless steel construction and rugged design assure long life in industrial and commercial applications. The LC202 is also available in metric configurations, with ranges from 0-100 to 0-50,000 N and metric threads. Please see the LCM202 for complete details, or contact our Pressure department for more information. 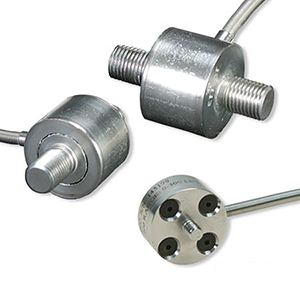 Note: All LC202 Series load cells include a 5 point NIST traceable calibration certificate.